PVCH is also in the process of upgrading their current website and will be launching a new look in the near future. You can find the current website and relevant PVCH information at www.pawneevalleyhospital.com. On the website you can catch up on recent news releases, learn about the various services available at PVCH, Pawnee Valley Medical Associates and the specialty clinics; pay bills online, enter the patient portal and check out current career opportunities at PVCH. Pawnee Valley Community Hospital is challenging all participants of this year’s 5th Annual Benefit Fun Run-Walk to discover their inner “Super Hero”. The “Super Hero” Fun Run/Walk, to benefit the USD #495 Larned High School Indian Athletics, is taking on a whole new look as participants are encouraged to wear their favorite “super hero” costume as they navigate this year’s one mile and 5K course. The event, being held on Saturday, June 13th, is for runners and walkers of all ages. Registration starts at 7:30 a.m. on the PVCH Campus at the intersection of 11th & Carroll with race time beginning at 8:00 a.m. Prizes will be awarded in the 5K to the top placing adult male and female, youth ages 13 – 18 and 12 & under; and the top One Miler. Prizes will also be awarded for the most creative costume in the categories of adult – both male and female; youth ages 18 – 13 and 12 & under. To be guaranteed an event t-shirt you must register on or before June 1, 2015. Registration fee for the 5K Run/Walk: 18 & up is $25; Students 6 – 17 is $15; 5 & under – Free (no shirt); for the One Mile event – $15; Shirt only – $15. 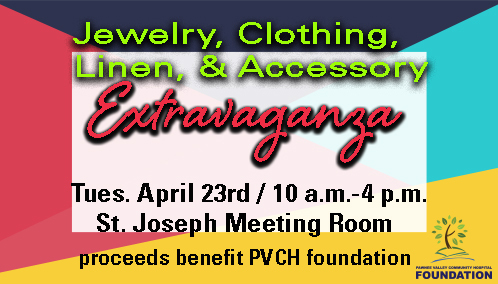 Registration forms are available at PVCH, Larned Area Chamber of Commerce and area businesses, or online at pawneevalleyhospital.com. In 2014, the PVCH 4th Annual Benefit Color Fun Run/Walk successfully raised $3,979.19 which helped fund additional free weights and dumb bells for the weight room which is something that all students atheletes use throughout the year. In 2013, the PVCH Fun Run/Walk successfully raised $3,656 which helped fund a Weight & Conditioning Record Board for the LHS weight room, which designates top lifters by grade, gender and event, plus new training dumb bells. If you would like further information on this year’s Color Fun Run/Walk please contact Jason Rath or Kimi Bowman at 620-285-8605 or Linda Henderson at 620-285-8840. Pawnee Valley Community Hospital will be celebrating National Hospital Week from May 10 – 15. The theme of this year’s celebration is “Where Miracles Happen Every Day”. The nation’s largest health care event, National Hospital Week dates back to 1921 when it was suggested by a magazine editor who hoped a community wide celebration would alleviate public fears about hospitals. The celebration, launched in Chicago, succeeded in promoting trust and goodwill among the public and eventually spread to facilities across the country. From providing treatment and comfort to the sick, to welcoming new life into the world, hospitals are central to a healthy and optimistic community. Hospitals are more than a place where individuals to go heal, they are part of the community that fosters health and represents hope. In recognition of the hard working Associates at Pawnee Valley Community Hospital, various activities are scheduled throughout the week including Cookie Day, PVCH Pride Day, a “Candy Bar”, 3K Fun Run/Walk, Walking Tacos, a Chocolate Frenzy, a Basket Extravaganza, a Yogurt Bar and “Special Deliveries” to the various departments. PVCH Associates will also be taking department group photos which will be featured on the hospital’s website – www.pawneevalleyhospital.com and their Facebook page. The commemorative celebration serves as a reminder that hospitals are foundations of the communities that built and nurtured them. Hospitals today are multi-dimensional environments that offer every medical specialty, with a focus on prevention and wellness. They are there to serve people in every community from all walks of life. Pawnee Valley Community Hospital Sleep & Diagnostic Center in Larned recently received program accreditation from the American Academy of Sleep Medicine (AASM). To receive accreditation for a five-year period, a sleep center must meet or exceed all standards for professional health care as designated by the AASM. These standards address core areas such as personnel, facility and equipment, policies and procedures, data acquisition, patient care, and quality assurance. Additionally, the sleep center’s goals must be clearly stated and include plans for positively affecting the quality of medical care in the community it serves. The American Academy of Sleep Medicine accredited a sleep disorders center for the first time in 1977. Today there are more than 2,500 AASM-accredited sleep centers across the country. Pawnee Valley Community Hospital Sleep & Diagnostic Center is directed by Son V Truong, MD, and is located at 923 Carrol Avenue. , Larned, Kansas. The American Academy of Sleep Medicine is a professional medical society for clinicians, researchers, and other health care providers in the field of sleep medicine. As the national accrediting body for sleep disorders centers, the AASM is dedicated to setting standards and promoting excellence in sleep medicine health care, education and research. LARNED, Kan. (March 3, 2015) The prestigious American Diabetes Association Education has recognized Pawnee Valley Community Hospital as a certified expansion site for Diabetes Solutions, a quality diabetes self-management education program. ADA believes that this program offers high-quality education that is an essential component of effective diabetes treatment. The Association’s Education Recognition Certificate assures that educational programs meet the National Standards for Diabetes Self-Management Education Programs. These Standards were developed and tested under the auspices of the National Diabetes Advisory Board in 1983 and were revised by the diabetes community in 1994, 2000, 2007 and 2012. Programs apply for Recognition voluntarily. Programs that achieve Recognition status have a staff of knowledgeable health professionals who can provide participants with comprehensive information about diabetes management. “The process gives professionals a national standard by which to measure the quality of services they provide,” comments Paul Carrington, PVCH Chief Nursing Officer. “And of course, it assures the consumer that he or she will likely receive high-quality service.” Education Recognition status is verified by an official certificate from the ADA and awarded for four years. Diabetes Solutions will be offered every other month at Pawnee Valley Community Hospital starting in April. The program is a ten hour course in two consecutive classes (the first and second Tuesdays of the month), running from 8:45 a.m. to 2:30 p.m. and includes lunch. It is not required that a patient attend the consecutive classes in the same month. A physician referral is required to take the class and a patient needs to be registered one week prior to the course date. According to the American Diabetes Association, there are 29.1 million people or 9.3% of the population in the United States who have diabetes. While an estimated 21 million have been diagnosed, unfortunately, 8.1 million people are not aware that they have this disease. Each day approximately 4,657 people are diagnosed with diabetes. Many will first learn that they have diabetes when they are treated for one of its life-threatening complications – heart disease and stroke, kidney disease, blindness, and nerve disease and amputation. About 1.7 million new cases of diabetes were diagnosed in people aged 20 years or older in 2012 in the U.W. Diabetes contributed to 234,051 deaths in 2010, making it the seventh leading cause of death in the US. Overall, the risk for death among people with diabetes is about twice that of people of similar age but without diabetes. The American Diabetes Association is the nation’s leading non-profit health organization supporting diabetes research, advocacy and information for health professionals, patients and the public. Founded in 1940, the Association has an area office in every state and conducts programs in communities nationwide. For more information on Recognized education programs in your area or other American Diabetes Association programs, call your local AHA office or contact the AHA online at www.diabetes.org/erp. For additional information about Diabetes Solutions at Pawnee Valley Community Hospital call 620-285-3161. LARNED, Kan. (February 16, 2015) Pawnee Valley Community Hospital in conjunction with the Pawnee County Health Department to update the 2012 community health needs assessment. Results of this update will be compiled and prioritized to help guide the hospital’s implementation plans to address health care needs and fulfill both federal and state requirements. The goal of this assessment update is to understand progress in addressing community health needs cited in the 2012 CHNA report and to collect up-to-date community health perceptions. To accomplish this work, a short online survey has been developed: https://www.surveymonkey.com/s/Pawnee15 . If you would like to participate in the survey and do not have access to a computer, copies of the paper survey are available for pick up at Pawnee Valley Community Hospital information desk, Pawnee County Health Department, The Welcome Inn, Jordaan Memorial Library, Pawnee Valley Medical Associates, and Garfield, Burdett and Rozel City Offices. All Pawnee County community residents and business leaders are encouraged to complete the 2015 online CHNA survey by Tuesday, February 24, 2015 for the upcoming Town Hall Meeting. Included in the 2015 CHNA survey are questions dealing with community health regarding service delivery, fitness, nutrition and access to care. All survey responses are anonymous and completing the survey takes less than 10 minutes. “We hope that the community and health professionals will take advantage of this opportunity to provide input into the future of healthcare delivery in our county,” commented John Hughes, PVCH Administrator. Vince Vandehaar, MBA (VVV Research & Development LLC, an independent research firm from Olathe, KS) has been retained to conduct this countywide research. If you have any questions about CHNA activities please call Brenda Langdon at 620-285-8645 or Linda Henderson at 620-285-8840.